The 14TB models use an innovative 9-disk, helium-sealed design to deliver massive capacity that fits into standard 3.5 inch SATA drive bays. 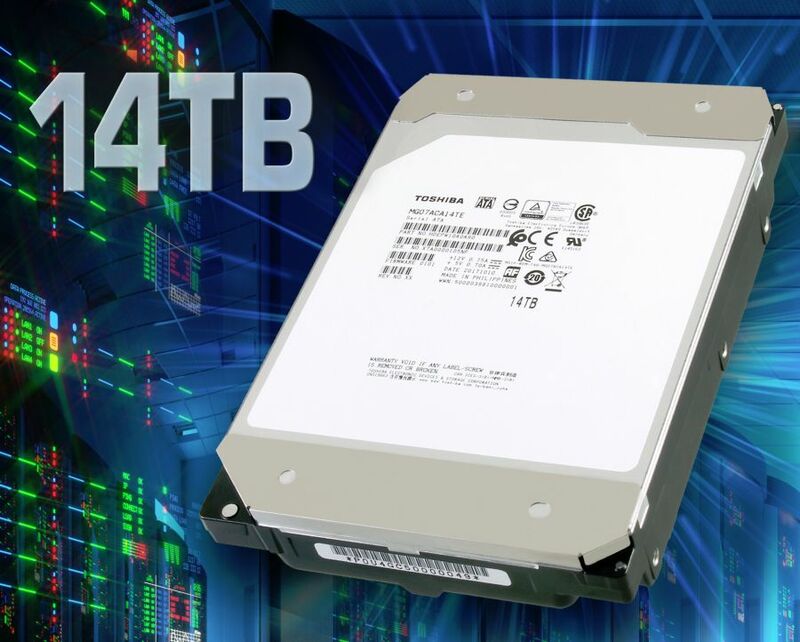 Irvine, CA – December 7, 2017 – Toshiba Electronic Devices & Storage Corporation today announced the launch of the MG07ACA Series, the world’s first1 enterprise 14TB2 Conventional Magnetic Recording (CMR) HDD. Using a 9-disk, helium-sealed design, the new MG07ACA Series provides the power-efficient capacity and storage density needed by cloud-scale and enterprise storage solution providers to achieve their TCO objectives. The MG07ACA Series features both 14TB 9-disk and 12TB 8-disk models. The helium-sealed 3.5-inch3 mechanical design realizes better storage density and a lower HDD operating power profile than the previous MG06ACA Series for optimal TCO in cloud-scale infrastructures. The series also utilizes Toshiba Group’s laser welding technology to ensure the helium remains securely sealed inside the drive enclosure. The drives support a SATA 6Gbit/s interface and 7,200rpm access performance. The 9-disk 14TB models achieve a 40% increase in maximum capacity over previous MG06ACA 10TB models. Additionally, the 14TB models improve power efficiency by over 50% (W/GB)4.